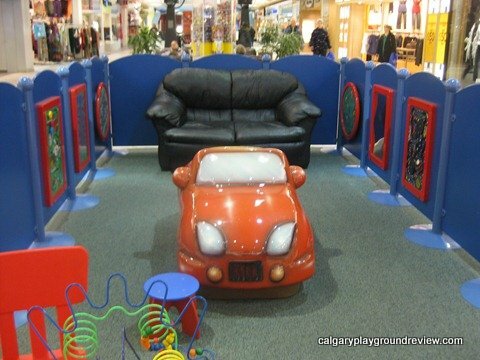 Malls in Calgary are very family friendly. 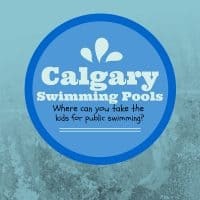 Here is a quick overview of the malls in Calgary with play areas for kids. I’ve listed each below in alphabetical order. 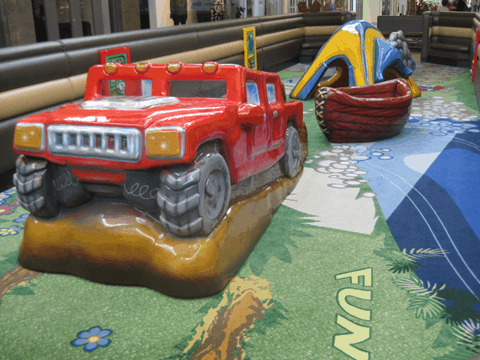 Located just North of Calgary, CrossIron Mills is one of the most family friendly malls in the area. There is a dinosaur themed play area with an interactive floor mat just outside, and lots of interesting things for kids at Bass Pro Shops. It also offers lots to look at throughout the whole mall. 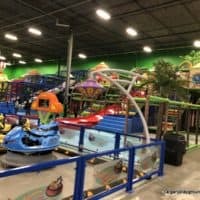 Sign-in is required at the play area and you may not always be able to get in right away. Deerfoot City is still in the process of being redeveloped. 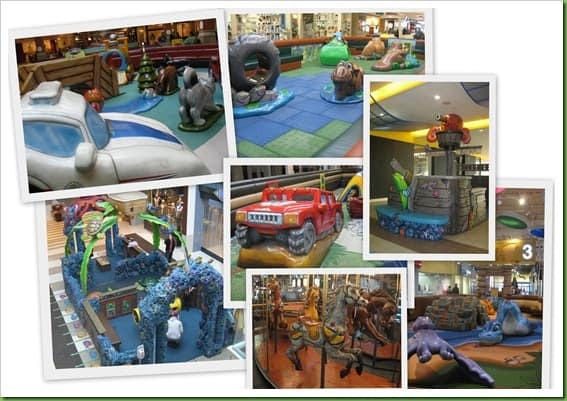 The play area is located in the central area called The Lodge which is their food court. It does not require sign-in. 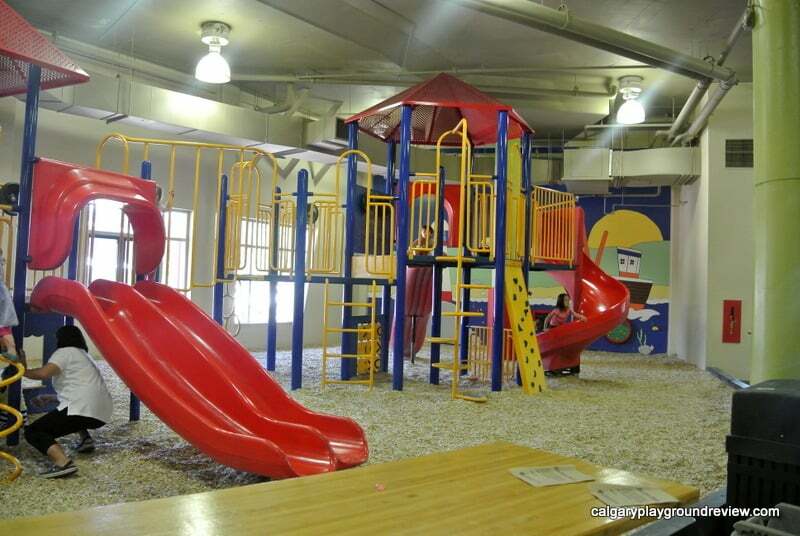 Classified as a city park but attached to the downtown mall “The Core”, this indoor play area is a lovely place to spend time. 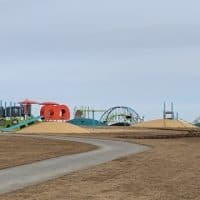 The equipment is more challenging than many of the others on this list and it is open to kids of all ages. 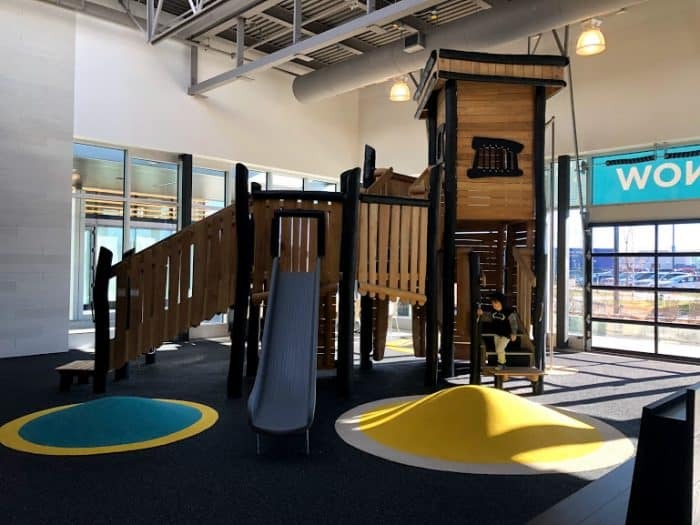 Eau Claire has one of the most unique play areas in Calgary – it’s a former outdoor play structure brought inside. 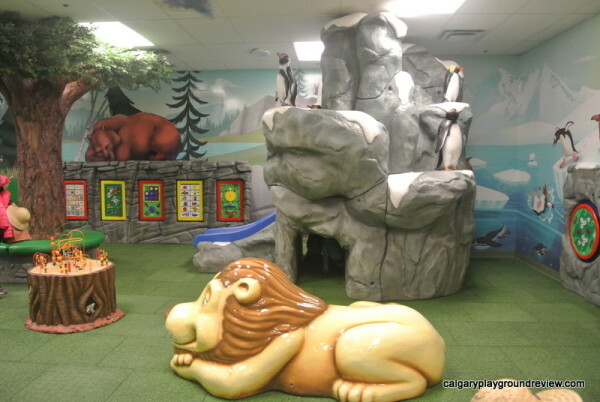 This is one of the best locations for older kids to get some physical play and there is a toddler section as well. As it is downtown the parking cost is high during the week, but they have $2 evening and weekend parking. No sign-in is required. 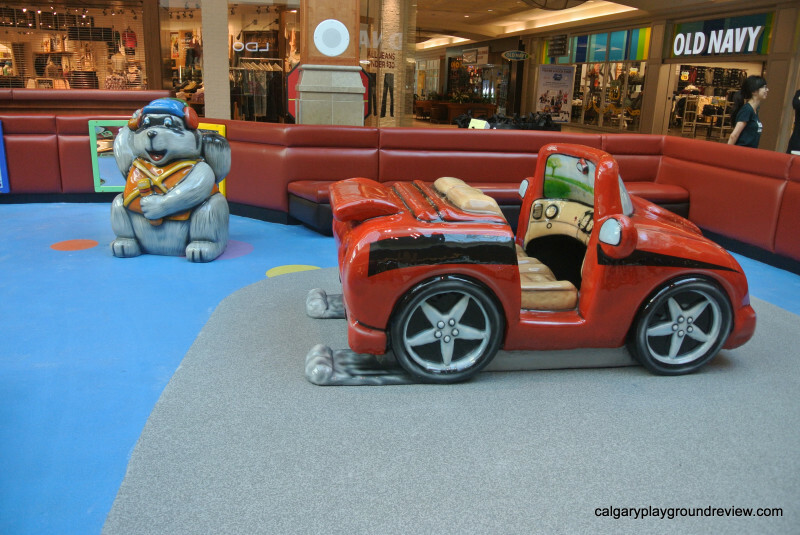 Market Mall is one of Calgary’s most popular play areas and it is not hard to see why. It requires sign-in and be prepared to not be able to get in right away. 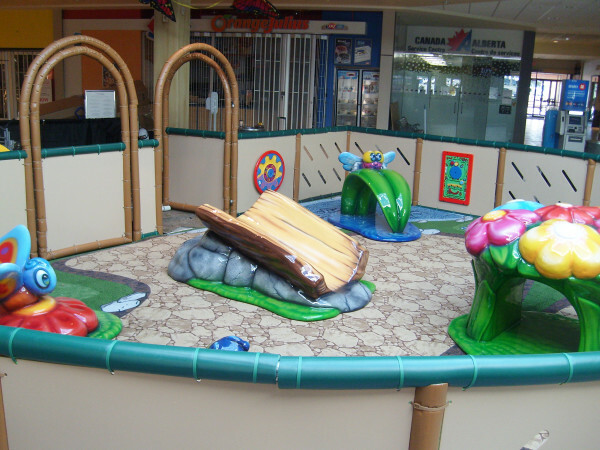 This play area was renovated in mid-2012 with a little bug theme. The play area at north hill is quite small but it does the job with panels, things to climb on and a bead maze. No sign-in is required. This camping themed play area has things to climb on and slide down. It’s not a big space, but it’s perfect for toddlers. No sign-in is required. 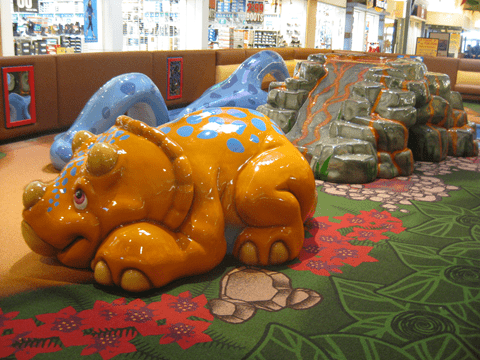 Southcentre’s new play area ROAR opened in Spring 2015 and is located on the lower floor on the south side behind the escalators. It is unsupervised and does not have a time limit. 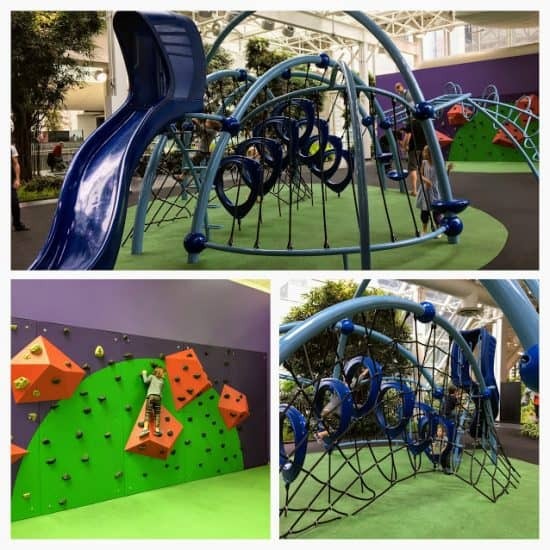 It features a TV area, ipads, climbers, panels and a slide. 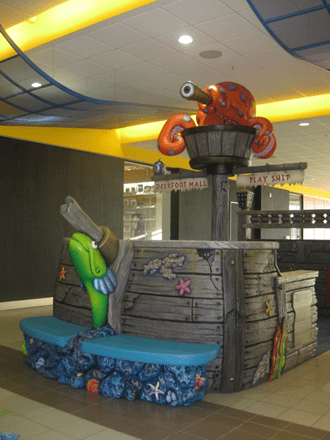 This indoor climber is the same as the one that used to be located at the old Deerfoot Mall (pictured below). 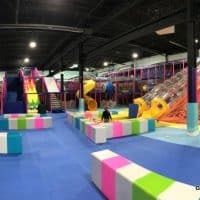 It’s unsupervised and open to kids of all ages.